Every year, Potsdam, N.Y., Lodge No. 2074 teams up with the city to hold a youth day. 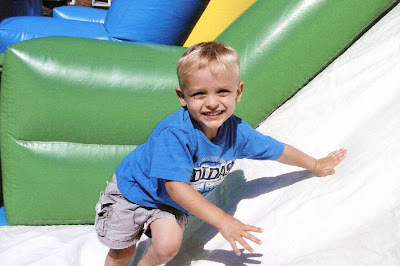 Elks rent inflatable houses for children, educate parents and children about drug awareness and act as chaperones for the popular event, made possible by an Elks National Foundation Promise Grant.